It used to house some of Scotland’s most notorious criminals. But now the site of the former Peterhead Prison has been transformed into the location for a 15-minute film about the plight of asylum seekers, which could make its way to the prestigious Cannes Film Festival later this year. 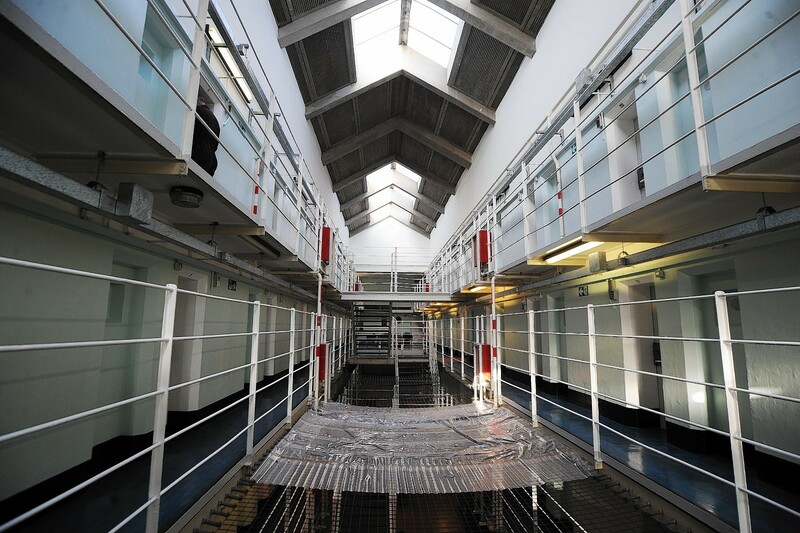 A crew, comprising more than 40 people including a number of local actors and technicians, spent the week before Christmas shooting scenes at the prison, which closed its doors in December 2013. Post-production is under way on the low-budget work, appropriately titled ‘Locked In’, which is a collaborative effort between Sylph Productions and Seventh Crow Productions. A spokesman for the Admiralty – the new name of the prison site – said: “It’s good news. We are willing to cooperate with film crews and this is one of the directions in which we aim to move. “We’re glad that things seem to have gone well (on ‘Locked In) although we can’t comment further on it. The self-funded film, which was written by Nadira Murray and produced by Bianca Herold, issued a call at XPo North, was filmed at the site from December 13 to 19. The short movie, which is based on a true story, charts Peterhead stepping in for Uzbekistan, in relating the trials faced by two asylum seekers who end up in detention. And, although the venture has been shrouded in secrecy, one of the production team spoke about the project. She said: “It is a very passionate film about refugees and the problems they face and it obviously has lots of relevance at the moment. This year’s Cannes Film Festival runs from May 11 to 22.